It is the year 2020. The past twelve years have been a flurry of development in the areas of design, nanotechnology, robotics, medicine, the internet, security and law. Contrary to popular opinion, the hotel industry has not been slow on the uptake. It’s been the decade of hospitality renaissance. A coming of age, an evolution of service as it should be…and a tribute to true personalization. I can choose and book all elements of my stay before I arrive, from my king sized bed, a fabulous view of the sea, non-allergenic pillows, a romantic dinner at the hot new fusion restaurant on my 3rd night, a pampering at the spa on the 4th, a round of golf on the 5th and a super chocolate sundae, served cold upon arrival (not to forget my airport pickup and drop with a virtual interactive city tour, of course). Hotel revenue and inventory management systems have evolved to a level where every amenity and service can be chosen, packaged, sold and delivered. I choose where to stay and what to do based on the recommendations of my personal social network. Why should I trust all the hype, marketing and advertising when I have perfectly good friends & like-minded acquaintances who’ve been there, done that? If I like what I experience, I may recommend the hotel to my network…and get paid doing it. Hotels have realized that their guest’s virtual and physical social networks are a long ignored distribution channel and start monetizing it…with spectacular results. Not only are the distribution and commission margin costs a lot lower, but the quality of the referrals is a lot more credible and brings in exactly the kind of guests the hotel is looking for. Get to the point. Inform and Entertain me. I’m tired of all the ‘in-your-face’ advertising, biased news and media hype. I choose what I want to see, hear and feel. I trust the news that is generated by people like me. I can use my intelligence to differentiate between false promises and the true sincerity. I don’t have time for long, boring and irrelevant pitches…I want you to get to the point. I want to be entertained! The unilateral media age is at an end. Citizen reporting and livecasting is the order of the day. News importance is dictated by the zeitgeist of these reports on the Web…every minute, every hour, every day…in vibrant photos, sound and video. Tiny mobile communication devices with projection capabilities & virtual interfaces connect everyone to everything on the global intelligent Web. Hotel marketing campaigns are created based on collective user experience and are as real as they are entertaining. Hotel PR Managers have become viral marketers and spend time reaching out to niche social networks. Life is made up of moments. It’s these you remember, cherish, crave. And sometimes service experiences blow you away…a lot of times they leave you a nervous wreck. I want to be able to share my feelings, be they elation or frustration immediately…when they are at their most intense. I want to ensure my voice is heard, is handled with discretion and is acted upon. Welcome to the age of instant feedback. Hoteliers have learnt to capture moments of truth when they happen. This is done with no hotelier involvement and captured by an intelligent hotel, at the choice of its guests and in vibrant video, voice or a ‘mood snap’. This feedback system is considered the keystone to the hotel’s Guest Satisfaction Index at any point in time. The General Manager can see at a glance how guests in his hotel are feeling and drill down to the causes of exemplary service…or dissapointment. This system serves to quickly correct service & product lapses…and is ultimately a deciding factor in hotel performance. I’m sick of having a passport, 2 identity cards, 3 credit cards, 6 membership / retailer discount cards and 25 internet profiles. Oh…and I’m not a fan of the room key card when I check into a hotel either! I’m unique. There’s only one of me…be it in the physical world or the virtual world. Therefore one identify would be most fitting. This is my virtual avatar, which travels everywhere I go, be it on the internet or when I shop, travel and share my experiences with those I know. The introduction of the ‘ONE’ virtual fingerprint. This is a global, non-replicable key to user identity, credit, travel preferences, health and history…an RFID + DNA based identification & encryption system. This ‘fingerprint’ contains layers of information that users choose to make available to other entities based on need and transaction. No more awkward and feeble attempts at hotel CRM. The intelligent hotel utilizes a guest’s virtual fingerprint to check them in, configure their room, charge them at outlets (no more clunky cash registers and POS systems! ), organize a birthday cake on their special day at the hotel, check them out and keep in touch with them long after they’ve departed. I need help. I need to talk. I love technology and the convenience automation offers. But sometimes I miss just talking to someone…another human who will listen to me, empathize and help me. Enter the age of a one-touch, omnipresent, always-on service line. All guests have to do is access their mobile device or projection panels in hotel rooms and facilities to converse in live video with their very own concierge, order-taker, host, guest service agent and guide…all rolled into one very real Hotelier at the other end of the line. The ultimate mix of tech, personal touch and convenience. I want my hotel room to take care of me. I want my hotel to be a place of refuge, rejuvenation and hey, even better than home! I want to be looked after, pampered and edu-tained. I want my hotel room to help me be the best that I can be… to do what I need to do. Welcome to the intelligent hotel room. A normal hotel room to the naked human eye…but one that hides nanotechnology and gizmos aplenty. A room that can adapt to your desired textures, colours and moods (and even put a new twist on the term ‘home away from home’ by re-designing itself to that space most familiar to you!). A room that cleans itself but can also take care of its human occupants, from determining what temperature, music and lighting best suits their bio-rhythm to what supplements their body needs in order to feel their very best. I can teach the chef a thing or two. I’m no longer interested in being told what I can and cannot eat. Sometimes I enjoy a little ‘breakfast’ in the afternoon. And maybe I’d like to mix and match my accompaniments, garnishes and dressings, despite what the chef thinks is a good idea! It’s my palate…I decide what’s creative. I’d like a menu that understands me like my doctor and fitness trainer do…and makes gentle recommendations that help me please my palate, appetite and keep me healthy. A gastronomic canvas and a doctor’s delight – the Intelligent Menu. Hotel Restaurant menus take choice to a whole new interactive level, with a variety of fresh ingredients, cooking methods, suggestions and health recommendations based on the guest’s health, tastes and moods. Plus you always have the choice to leave creative license to your chef…the virtual menu or the professional in the kitchen! In the year 2008, no one believed so much could be accomplished in so little a span of time. And yet, the Web as we knew it had also evolved in just such a short period. No one would have believed in the early 90’s that in just over a decade, the Internet would allow us to geo-tag the planet, livecast in rich video, reconnect with long-lost school friends and play shoot ‘em ups with strangers on the other side of the world. But we did it. And while we were at it, we even went a step further and coined the word “discomgoogolation” to describe that strange feeling of ‘disconnect’ when deprived of the internet! Welcome to the future…yours, that is. Pingback: » Beyond Travel and Hotel Booking Engines - Introducing Experience Engines Web 2.0 and Travel 2.0: The user-driven internet revolution for hotels, hospitality, travel and tourism. 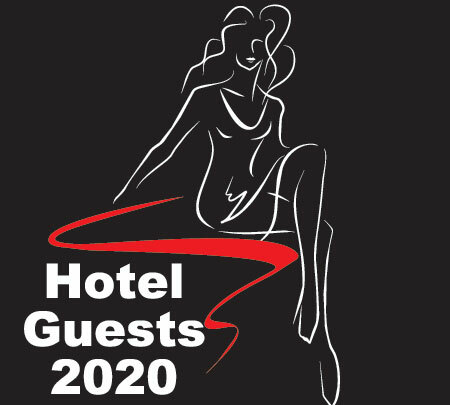 Interesting how some one in 2009 can already imagin the future of his hotel experience right now. would love to be there ,guess just have to wait more for this innovation .good article . Pingback: Hotel eMarketer » The Hotel Concierge of the future now has a face!